Read carefully: any time you're looking for tutorials, downloadable files, or the likes, there are always pitfalls and evil sites lurking because they know this topic is popular. It's Photoshop Madness! Yesterday I posted some white-balance tips for shooting food photography. In this post I’m going to go through the steps I took to edit the image. The photo used in this post is from the same shoot and is edited identically to the image in the previous post. 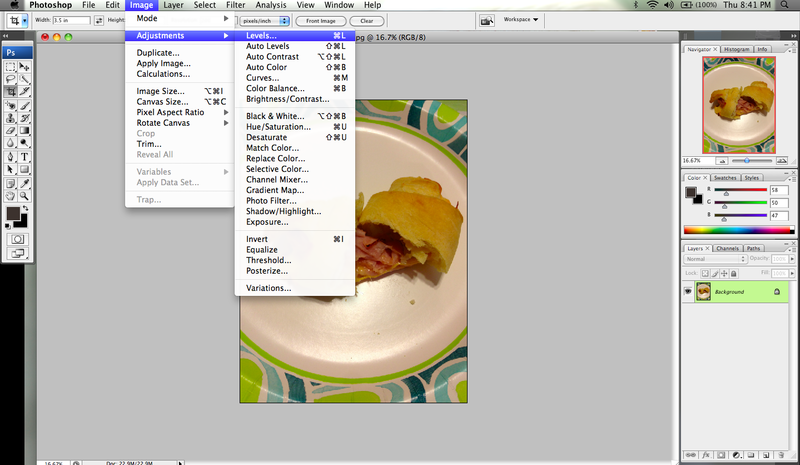 I use 3 steps pretty much every time I photoshop a picture, especially with my food pictures. Here is a before and after of my Ham and Cheese Crescent Rolls (recipe will be posted soon! ).